The “ZfK”, short for “Zeitung für kommunale Wirtschaft”, stands for the leading medium for municipal utilities as well as supply and disposal companies in Germany. 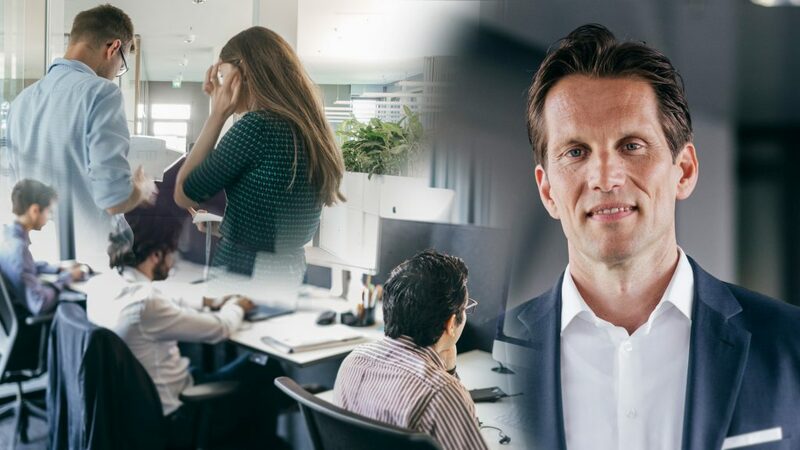 One of the editors, Stephanie Gust, conducted an interview with Maik Neubauer, one of the two managing directors of TSCNET Services, which has now been published with the latest issue under the rubric “Nachgefragt” (“Enquired”). In addition to the company’s role and tasks in the operation of the European electricity transmission grid, the talk also focuses on the potential of so-called Artificial Intelligence (AI). “At present, AI does not play a major role with us,” Neubauer regrets. Although the Munich-based Regional Security Coordinator (RSC) “works with very complex algorithms and mathematical models to calculate network bottlenecks or available capacities”, but “these systems are not yet self-learning” and do not yet issue reliable forecasts based on empirical values. “Here I see a very high potential for risk analysis in the future – both at the transmission grid level and in the distribution grids,” explains Neubauer. Due to the courtesy of the publishing house, we can offer the entire text (in German) here. The “THEMEN:magazin” is a German-language medium that reports every two months “on the challenges, opportunities and perspectives of the economy with a focus on energy policy”. In the latest issue (5/2018), readers will also find an interview with Maik Neubauer, one of the two managing directors of TSCNET Services. It followed the Conference on Electricity Security Coordination (ElSeC) 2018 in Brussels, the #PowerCoordinationEurope. The hot and dry summer of 2018 was a good example of extreme weather conditions that required top performance from transmission system operators, explains Neubauer. Wherever lines fail or threaten to fail, countermeasures must be taken immediately during operation. The interaction between transmission and distribution networks must also function smoothly. TSCNET Services supports these complex processes as a Regional Security Coordinator (RSC). At the centre is a range of services relating to grid congestion management for transmission system operators (TSOs) to ensure a high level of grid security in Europe against the background of the rapidly growing share of renewable energies within the energy mix. Especially the high generation volatility of PV and wind farms leads to significantly higher demands on the monitoring and management of the European transmission grids. TSCNET can at any time take advantage of a huge amount of data from almost all European network operators to calculate the network situation in the next hours and days and to identify possible congestions. “We thus act as an early warning system for the identification of potential dangers in the network, continuously evaluate these with our TSO partners and can thus counteract potential blackout situations in Europe in a concerted manner,” summarises Neubauer. In general, the European high-voltage grid is technically very stable and resilient, but often the limits are reached in the meantime, also because of the slow expansion of the grid. In the coming years, too, secure network operation is still only conceivable with considerable redispatch measures. The electricity from German offshore wind farms in the North or Baltic Seas does not stop at the border. The so-called ‘Clean Energy Package’ also changes the framework conditions throughout Europe. The energy transition is not a German project, but must be mastered on a pan-European basis. 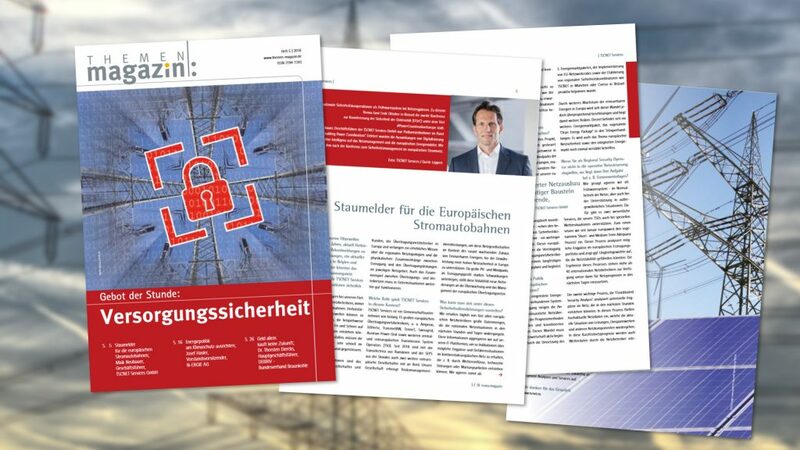 In its current issue, the German-language “THEMEN:magazin” features a detailed interview with Maik Neubauer on TSCNET Services being the “congestion messenger for Europe’s power highways”. With fourteen transmission system operators (TSOs) from eleven Central and Eastern European countries as shareholders and four additional customers from four other countries, the surveillance area of the Munich-based regional security coordinator (RSC) TSCNET Services lies at the heart of the continent. TSCNET was originally set up as a joint TSO initiative to maintain the operational security of the electricity system. Today, TSCNET’s core responsibilities include coordinated network security analysis, capacity calculations, support in critical network situations, and aggregation of all relevant network data for the partner TSOs. Despite their essential function within the integrated European transmission system, the work of the RSCs still is not well known to those who are not directly involved in the energy market. A comprehensive insight report published in Germany’s leading professional journal for the municipal energy economy, the “Zeitung für kommunale Wirtschaft” (ZfK), offers a great opportunity to improve TSCNET’s name recognition in this specific economic sector. 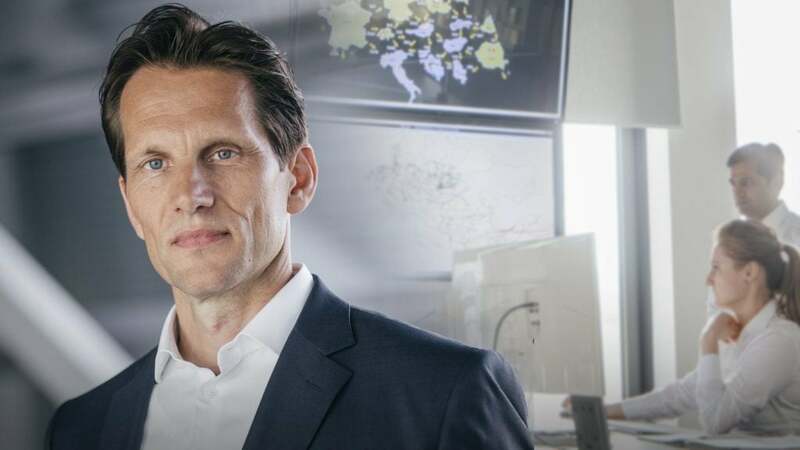 A journalist from the prestigious press medium had a revealing talk with Maik Neubauer, one of the two Managing Directors of TSCNET Services. The report is centred around TSCNET’s Daily Operational Planning Teleconference (DOPT) with the TSOs’ experts. In these conferences every day at 9 p.m., TSCNET’s risk analysis is presented every day and the catalogue of possible measures is discussed. Mr Neubauer emphasises the outstanding role of the RSCs as an early warning system for grid security in the increasingly complex and rapidly changing transnational electricity system. He sees TSCNET well prepared for new tasks, as already now the “pan-European network security analysis is going to be strongly aligned with the other european RSCs”. Power lines silhouetted with city night life. Picture: Voy Ager / Shutterstock, stock photo ID 631374623. Will there be large amounts of wind energy in the coastal regions? Where do bottlenecks might occur? And how should transmission system operators (TSOs) react in order to avoid critical network situations? ‒ Safety analysis and risk management for the pan-European transmission system based on large volumes of data is the core business of the European regional security coordinators (RSCs), one of which is the Munich-based TSCNET Services. Although there are many other tasks ‒ such as calculating generation capacity to keep the grid stable ‒ RSCs only monitor and evaluate the market and grid situation to advise their TSO shareholders, but do not operate the grid themselves. Maik Neubauer, one of the two managing directors of TSCNET Services, took the opportunity to explain the business of the Munich-based RSC more detailed in a personal portrait and interview in the “Tagesspiegel Background Energy & Climate”, a daily market newsletter for decision-makers from the energy and climate sector. The “Background” is created by specialists from the renowned German daily newspaper “Tagesspiegel”. In addition, Mr Neubauer gives insights into his personal view of the digital and energy-specific future, his motivations and inspirations. Recently, in the context of the European Commision’s “Clean Energy for All Europeans” package, there has been some discussion about the role of the RSCs and wether they should take over operational responsibility. Regarding this, Mr Neubauer represents clear positions: “In my view, Brussels underestimates how complex the European power grids are and how valuable the long experience of national TSOs is.” Hence, the TSCNET managing director welcomes the prevailing opinion that the RSCs will not have direct control of the network in the near future. Instead, TSCNET Services will streamline its evaluative and advisory functions. This includes grid stabilisation assistance after outages, training of TSO staff and active proposals for necessary compensation measures to improve cross-border coordination, increase safety and, ultimately, save costs. > Open article and interview, in German (pdf, 126kb). 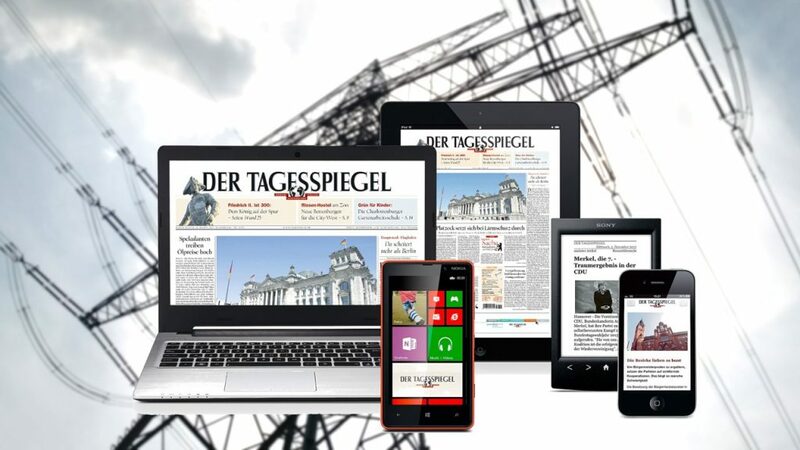 The article was published in the daily decision-maker newsletter “Tagesspiegel Background Energy & Climate” and is reissued with kind permission. The rights are held by the publishing house Der Tagesspiegel GmbH. 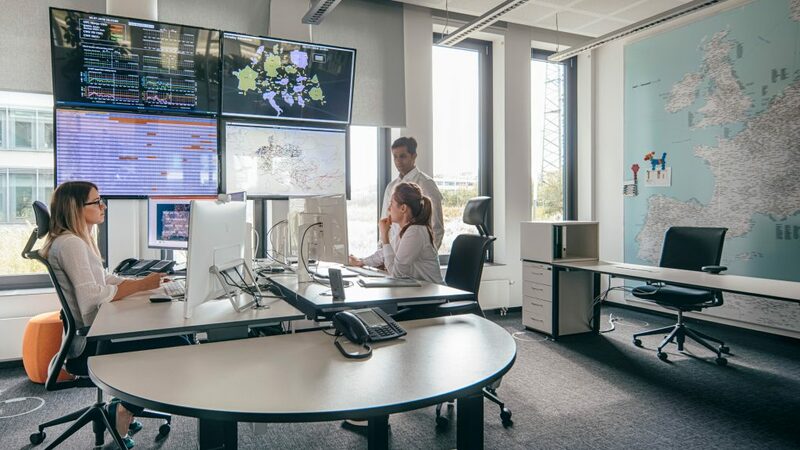 The services and solutions offered by TSCNET Services are well known to transmission grid experts: The Munich-based Regional Security Coordinator (RSCs) helps European electricity transmission system operators (TSOs) to keep the grid stable. The German-language edition of “pv magazine”, a trade publication for the photovoltaic industry, could help further expand TSCNET’s level of awareness. 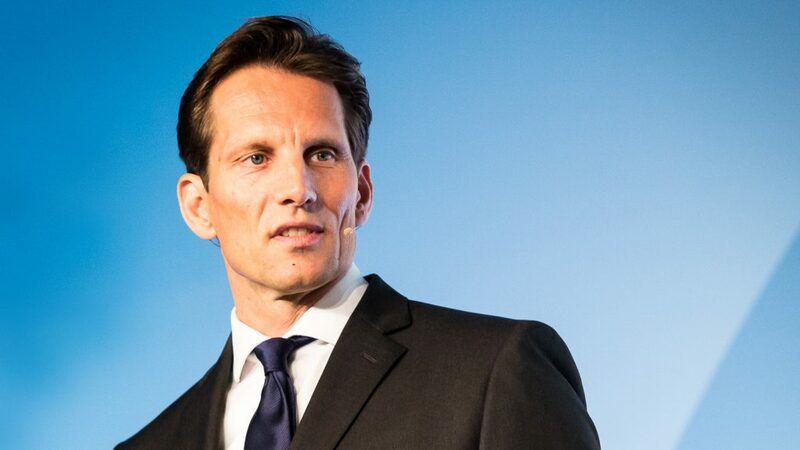 Maik Neubauer, one of the two managing directors of TSCNET Services, explains in an interview the challenges posed by the expansion of renewable energies in Europe and why extreme weather conditions require special measures. Neubauer explains, which services are actually offered and why these are becoming more and more important in the course of the energy transition. Predicting and avoiding congestions and threats within the power transmission system is TSCNET’s core business. For this purpose, large amounts of data from the TSOs are collected and analysed with specially developed tools. When potential hazard signals are identified, they are shared with the TSO partners and jointly evaluated together to ensure grid stability at all times. “We act as an early warning system in the normal operation of the networks, but also as a support system in exceptional situations,” says Neubauer. While the general risk of blackout, according to Neubauer, is rather low, one must also take into account that the European transmission grid was not originally designed for the fast-growing and highly volatile feed-in of wind and solar energy that accompanies the energy transition. The systematic change in energy production increases the requirements for continuous grid monitoring and forecasting quality. 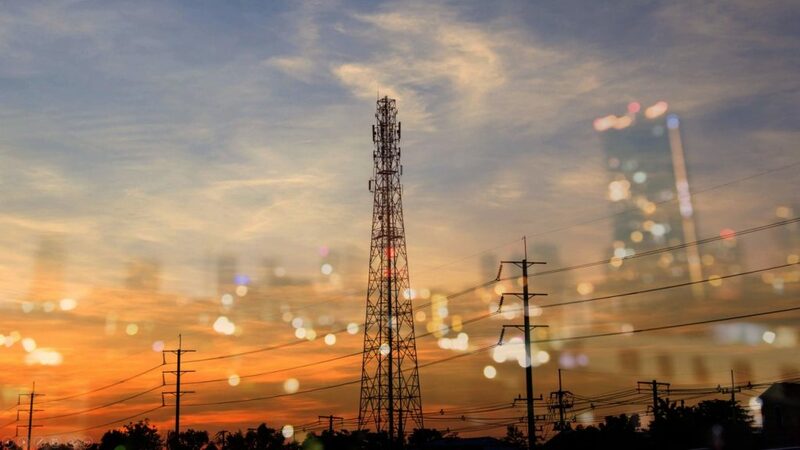 Hence, the supervisory function of RSCs like TSCNET Services has already become essential for today’s energy system and will increasingly be in the future. An important project, for example, is to support the development of a new Common Grid Model (CGM). A fully redesigned data network will be set up in order to guarantee an absolutely secure and harmonised data exchange. “All our services will be based on this new data platform in the future,” says Neubauer.